How much can I earn as a Stencil affiliate? We offer a 30% commission each month for every paying customer you refer. Does Stencil have an affiliate program? 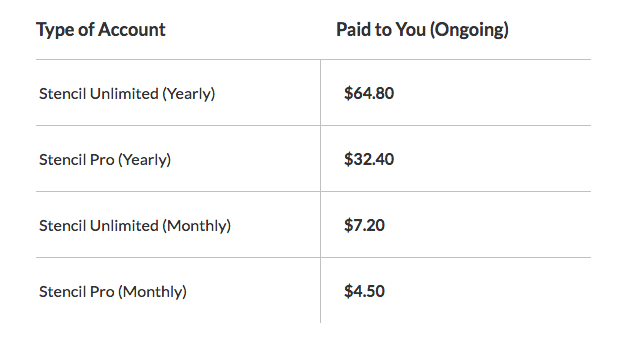 How does Stencil pay its affiliates?